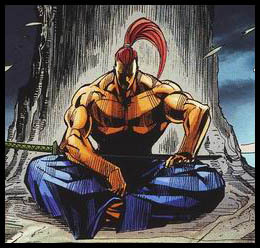 Genjuro is a feared samurai. 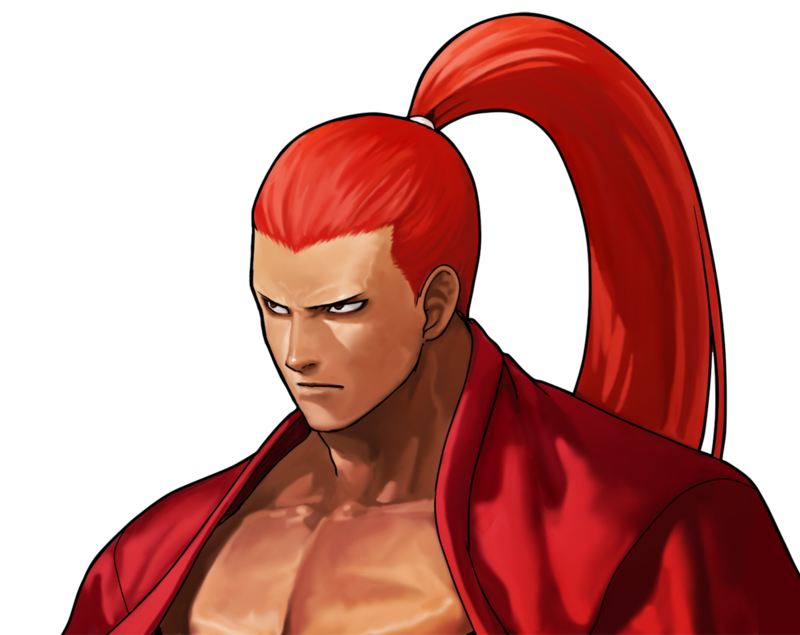 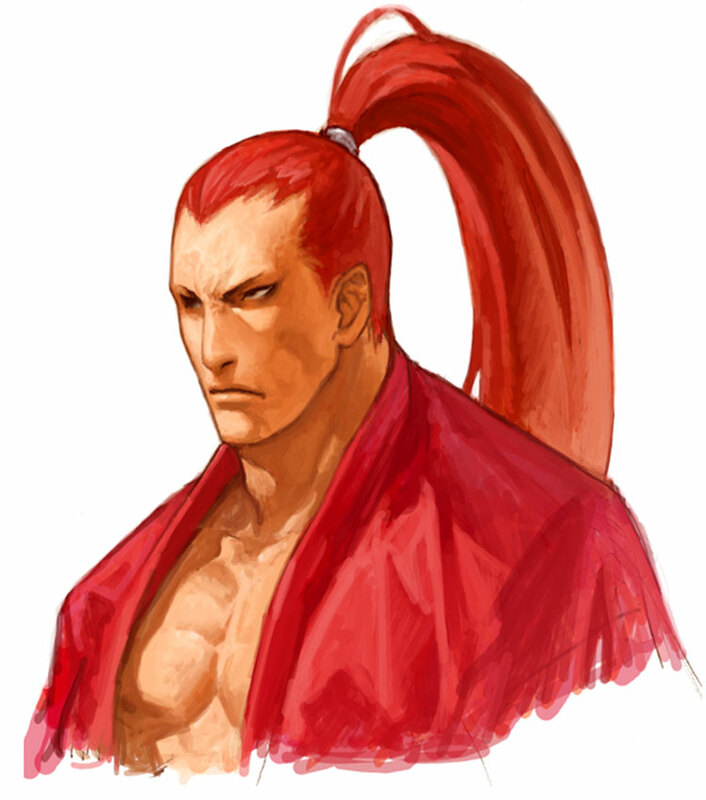 He was a friend of Haohmaru's but soon became his rival. 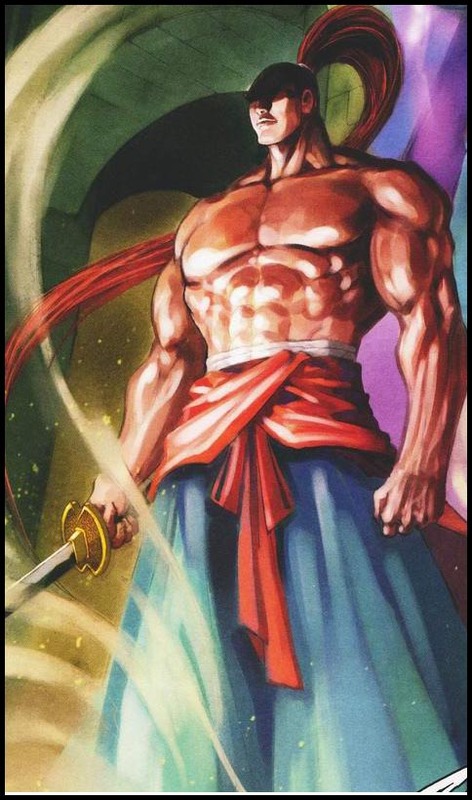 He defeated the legendary Haohmaru in a past encounter, nearly killing him. 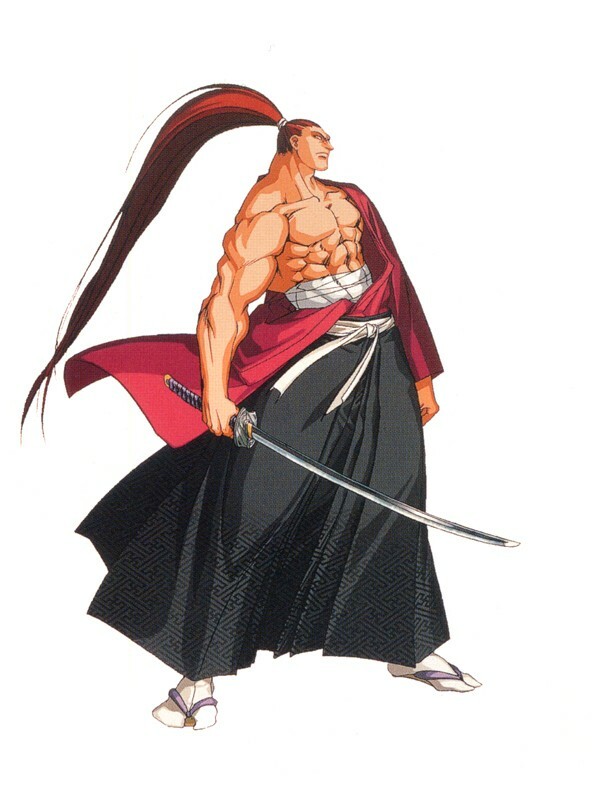 He is a former student of Nicotine's. 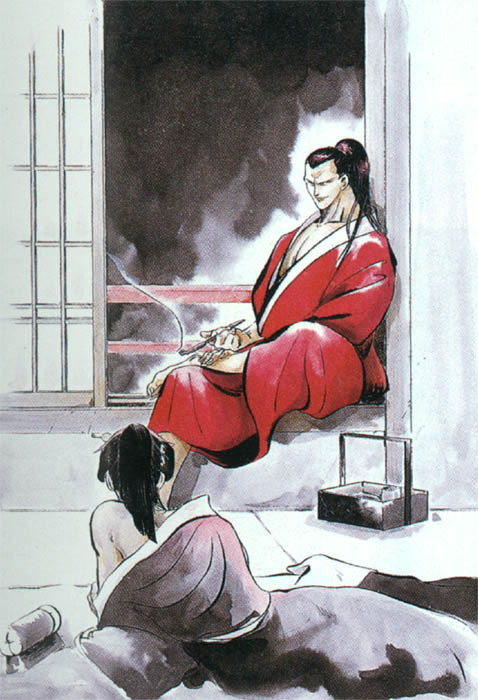 Because he holds no feelings for killing people, he was expelled by Nicotine. 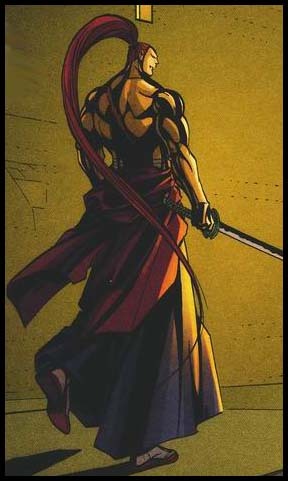 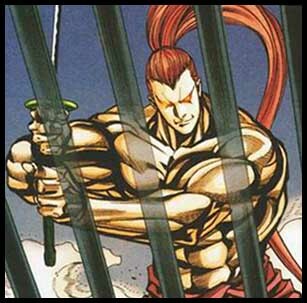 Now he hates Haohmaru because of this. 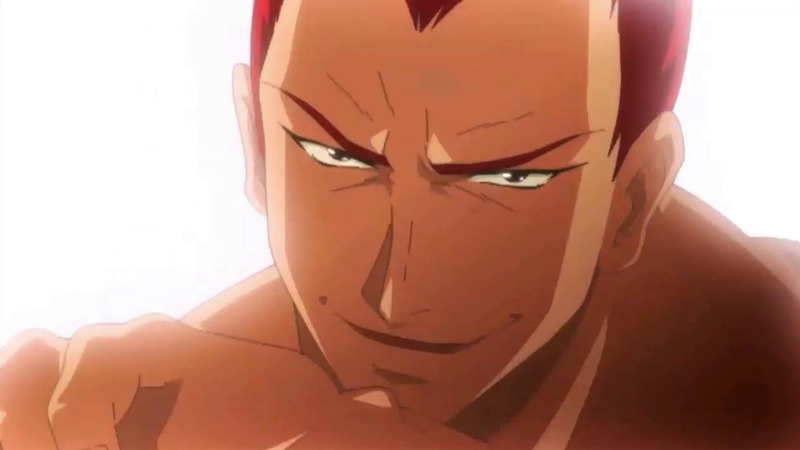 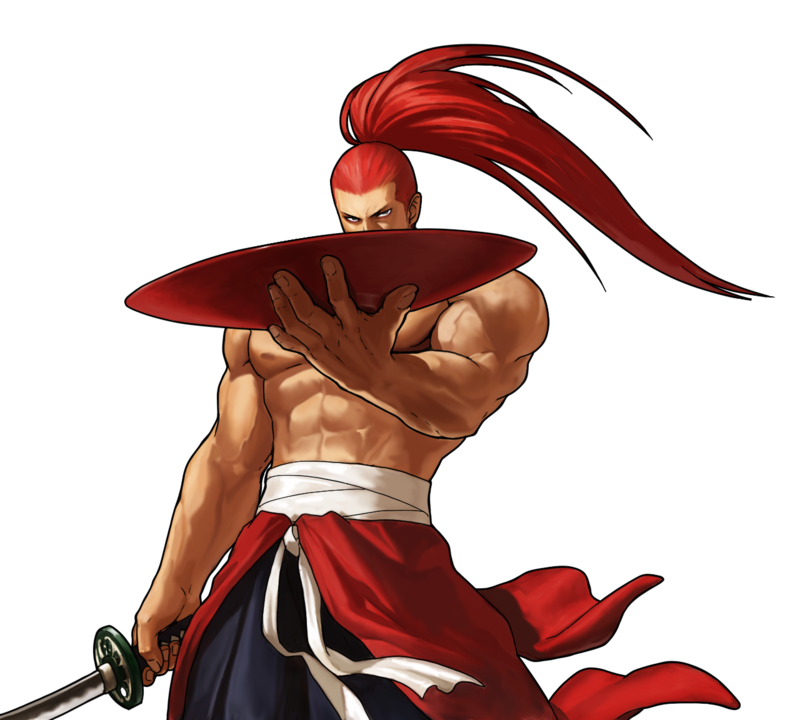 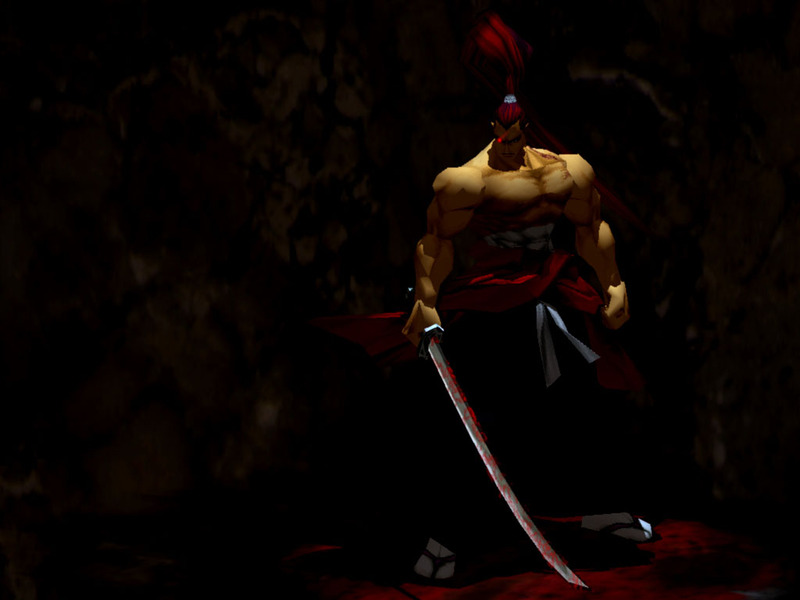 He lives his life as a killer for hire and hunts down Haohmaru. 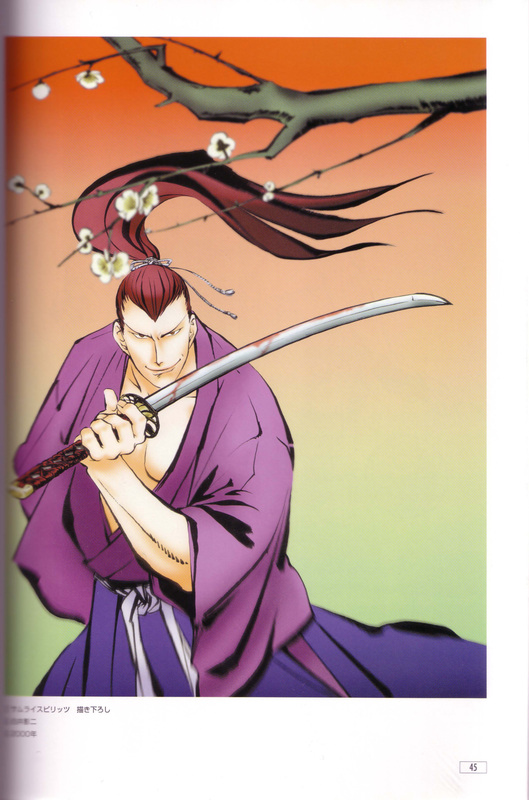 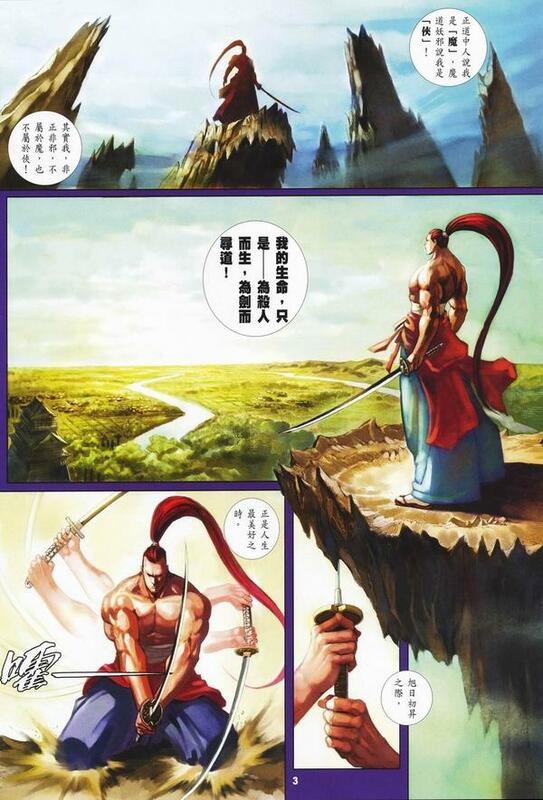 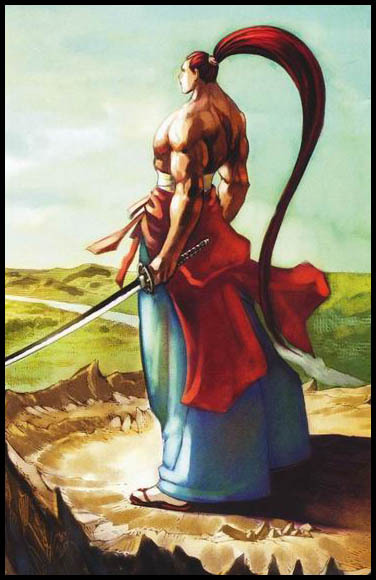 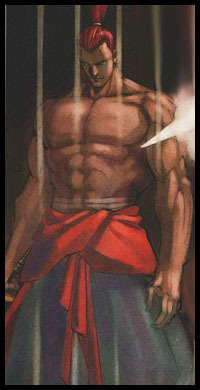 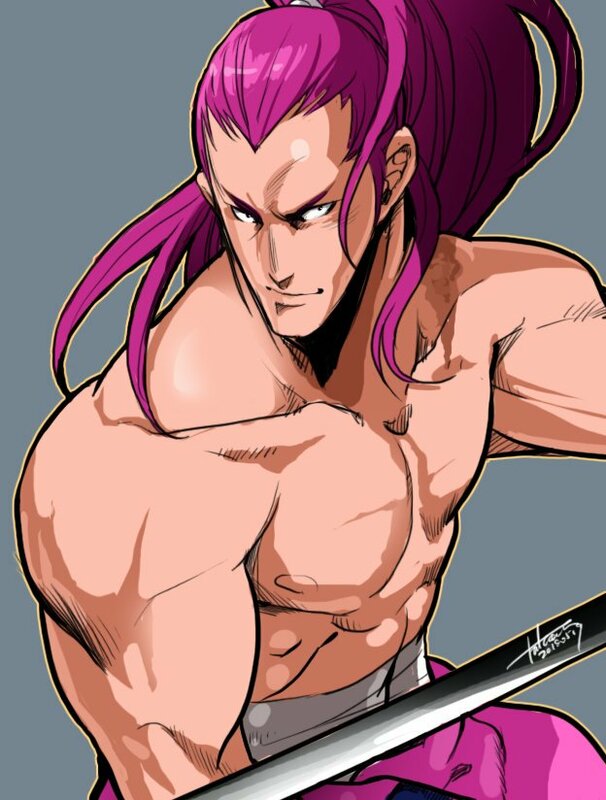 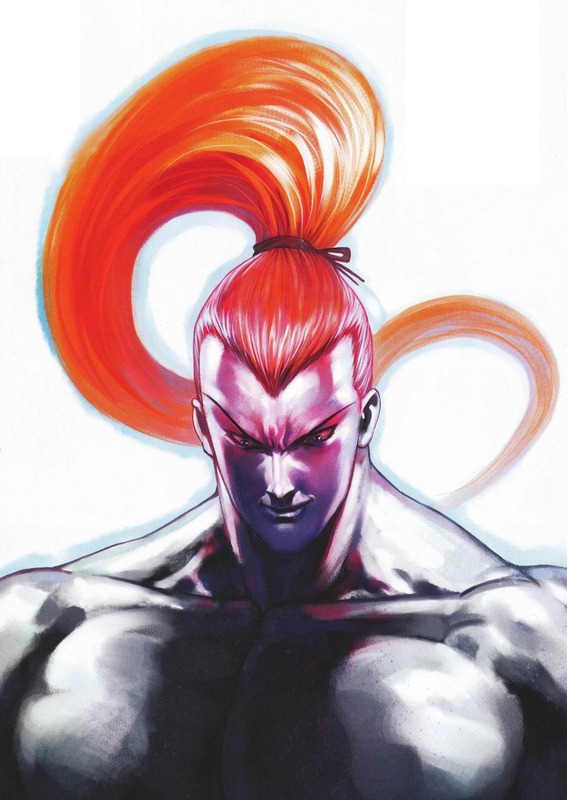 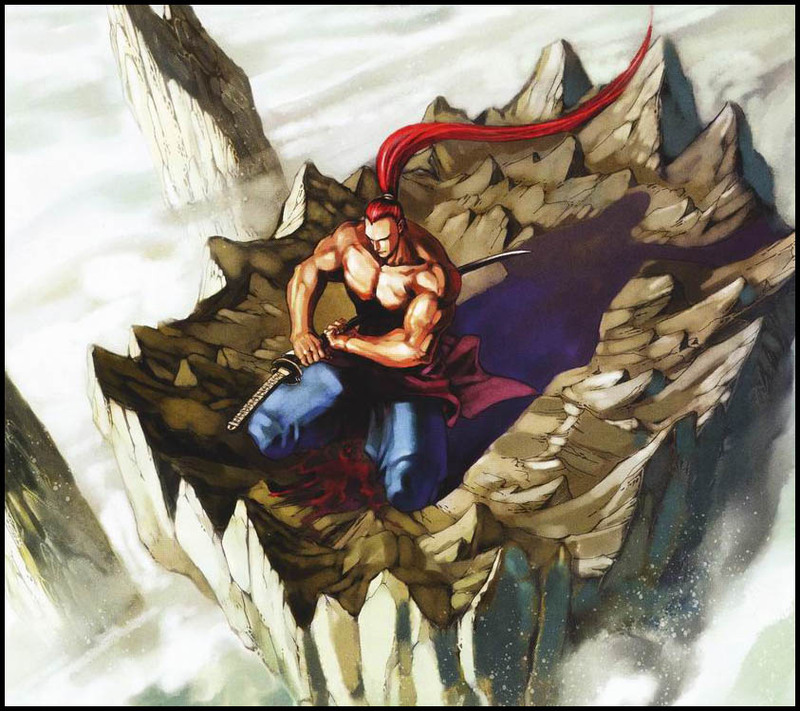 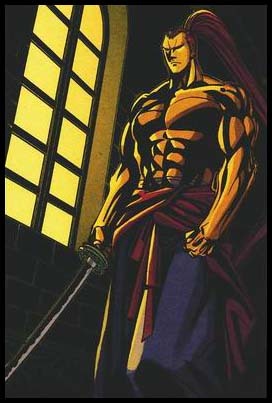 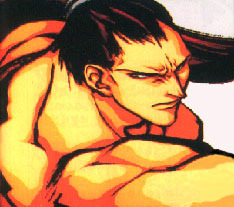 In SS2, he joined with Mizuki to fight against Haohmaru but quickly betrayed Mizuki. 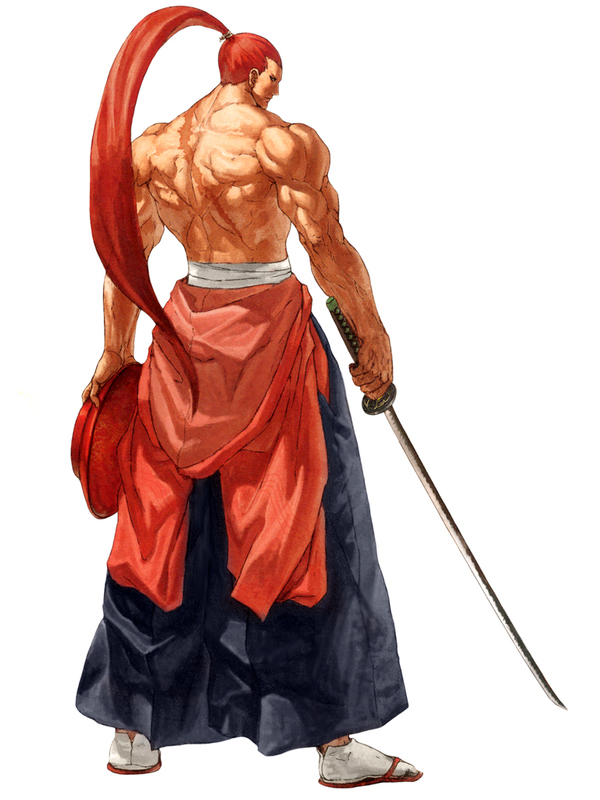 His mother was a whore who always slept with a different man everyday. 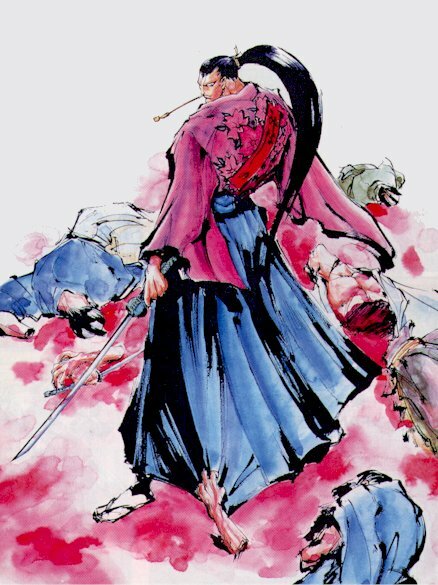 One night, Genjuro snapped and killed the man that his mother brought into the house. 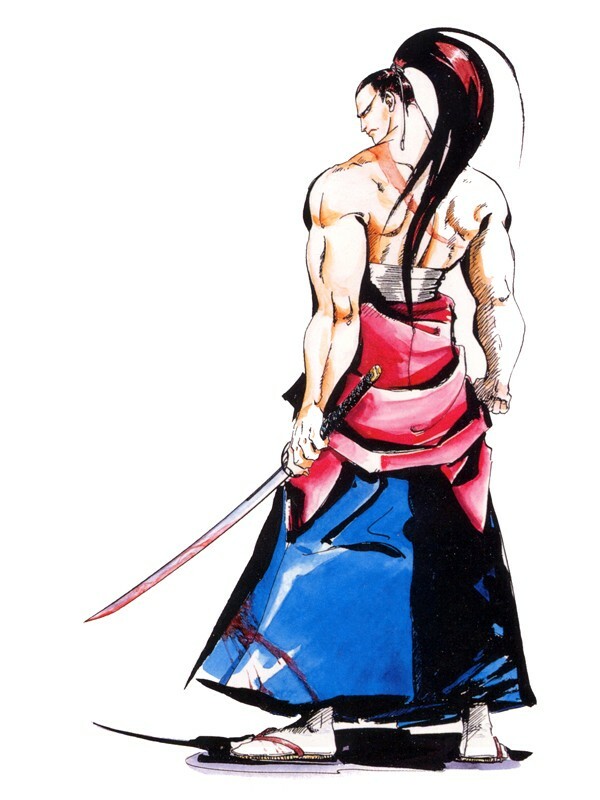 As Genjuro tried to leave the house, his mother tried to kill him but Genjuro fought back and killed her instead. 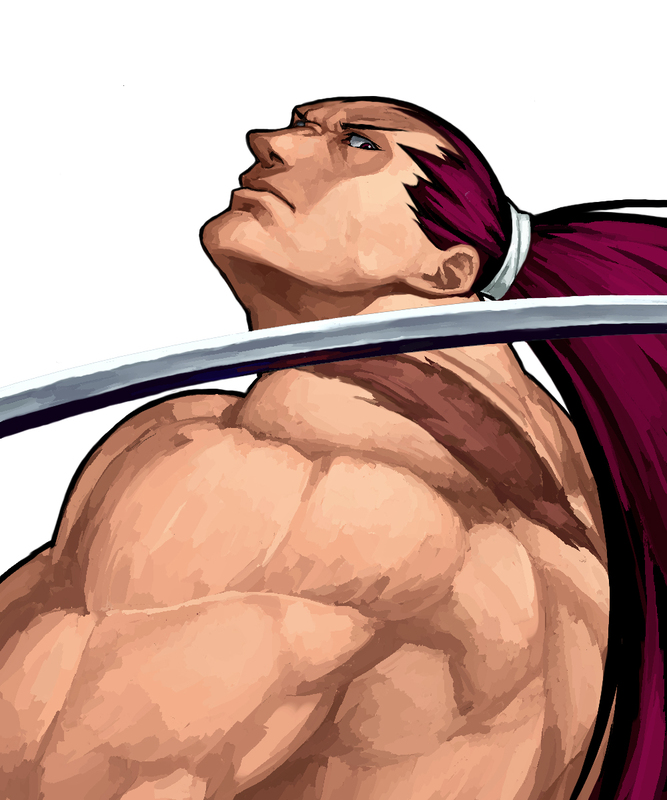 The scar he has on his back is from this incident. 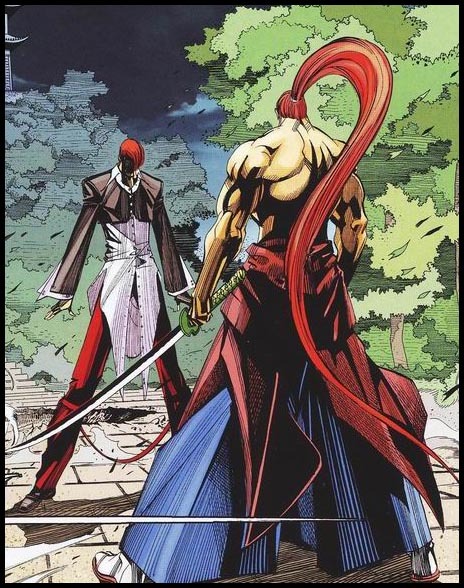 This was what caused him to have such a ruthless personality. 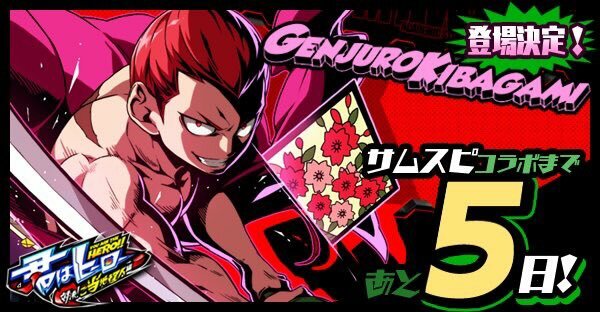 Genjuro also represents the Japanese card game called "Hanafuda." 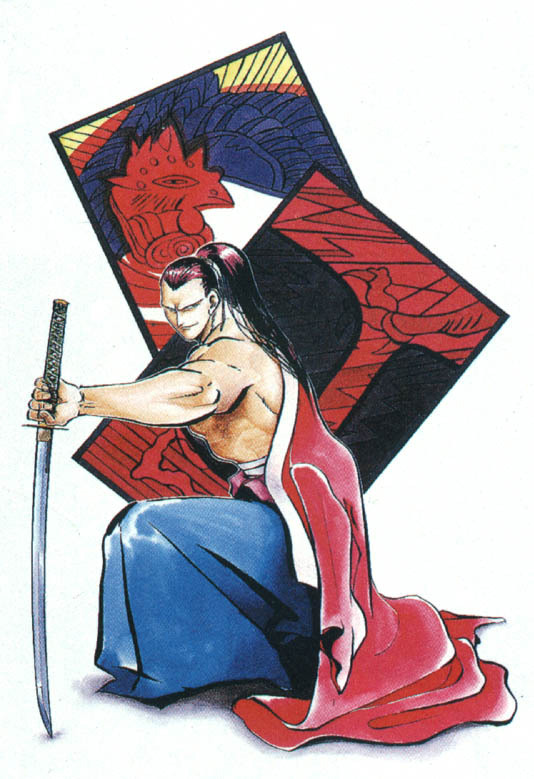 The little yellow frog that follows him around is also found on one of the cards in Hanafuda. 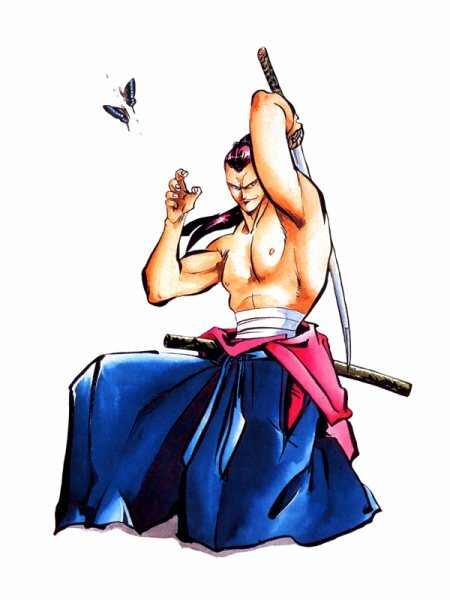 Kibagami Genjuro is a simple, yet incredibly stylish samurai design. 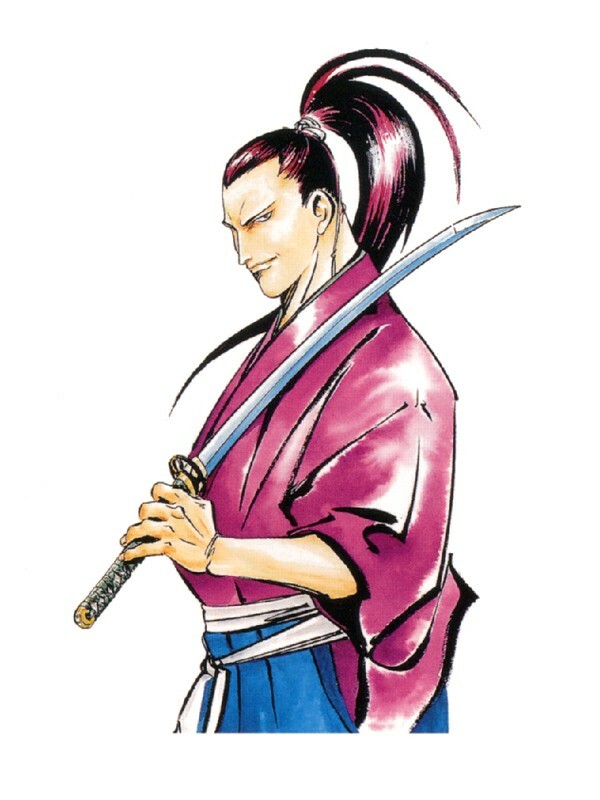 His sadistic personality is presented clearly in the game (even in 1994(. 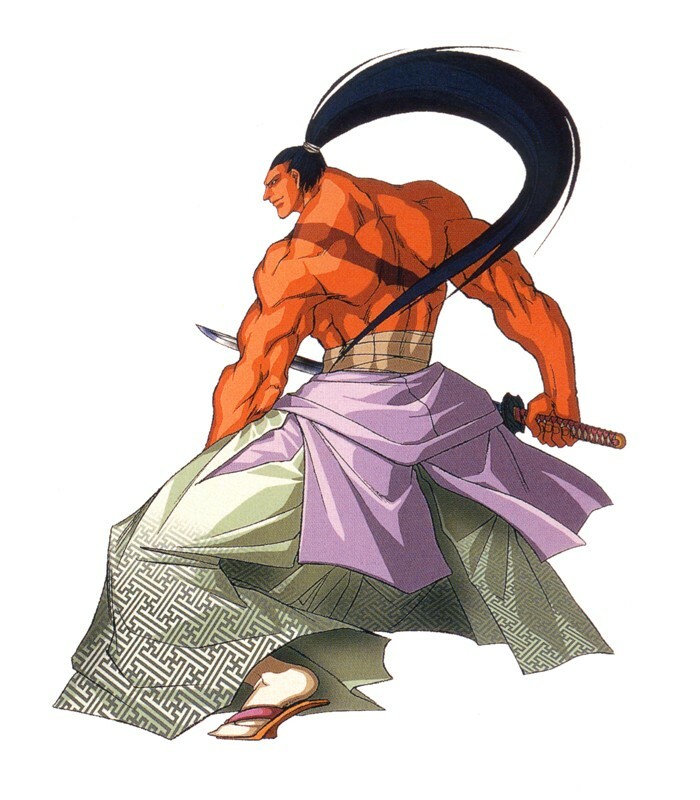 Tthanks to his intense voice actor, awesome animations, and hilariously badass win quotes; Genjuro commands respect . 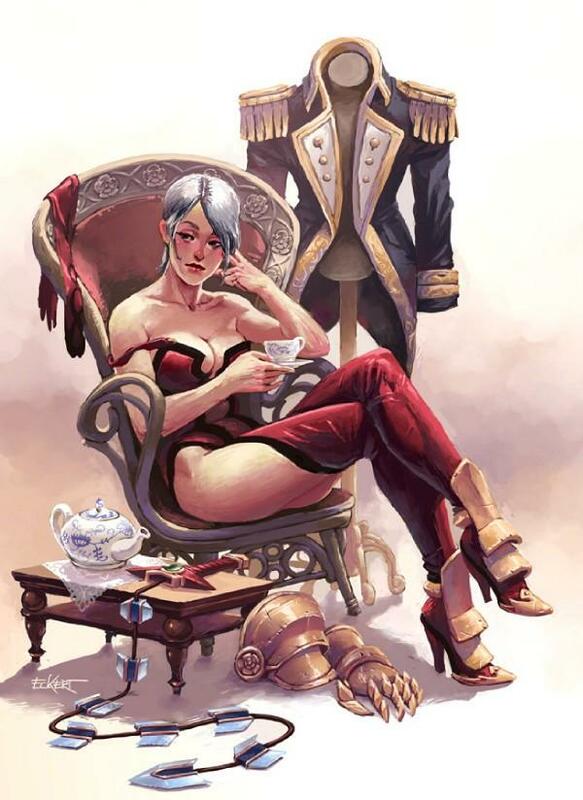 "You're boring. 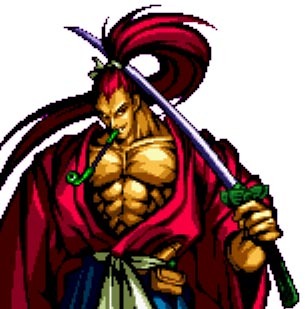 Die." 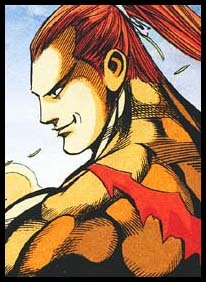 Sorry... but only a true badass could get away with saying something like that. 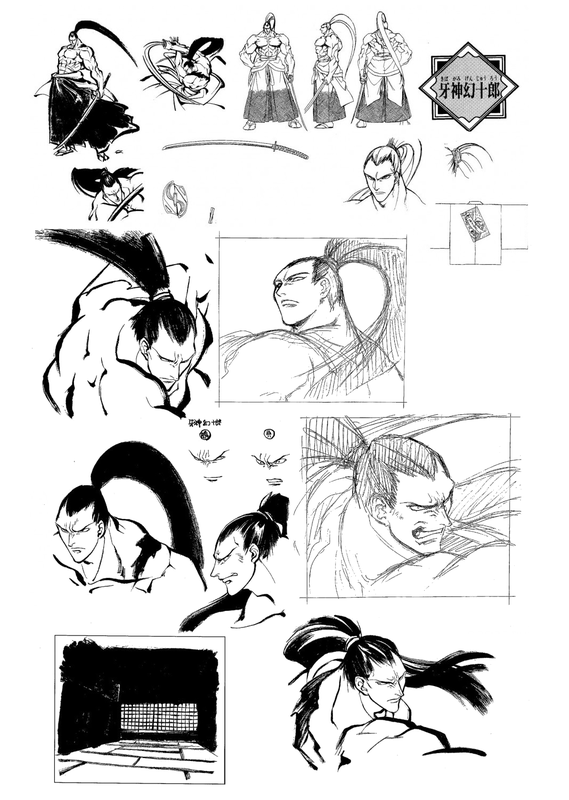 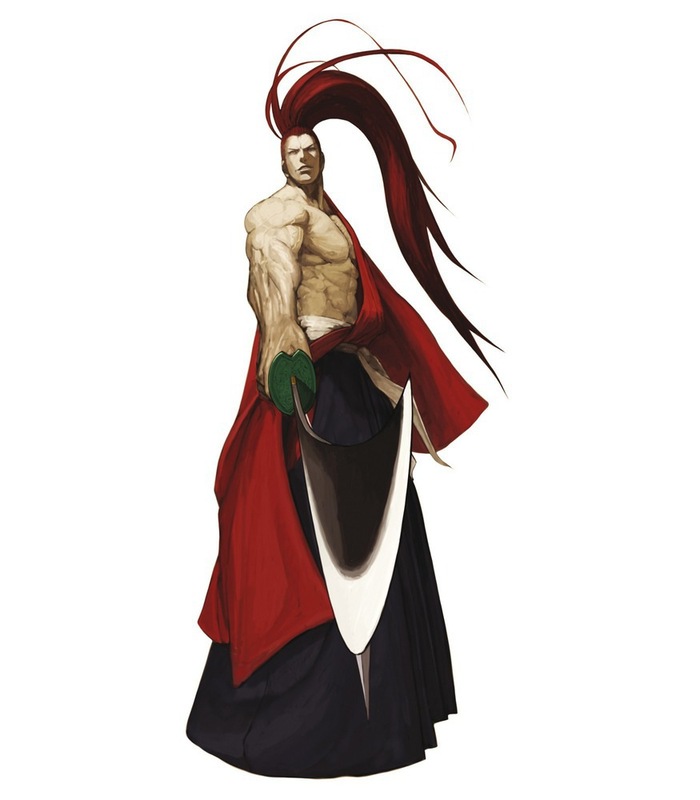 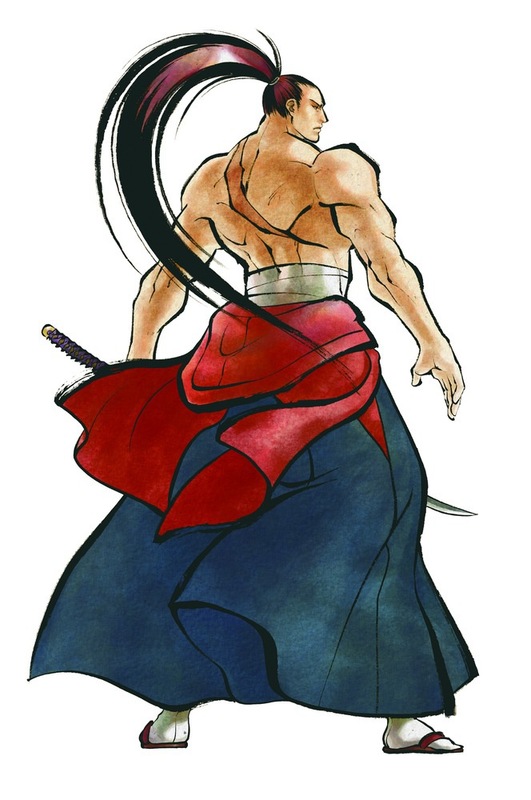 Genjuro's fluid yet devastating fighting style and cool traditional appearance speak for themselves. 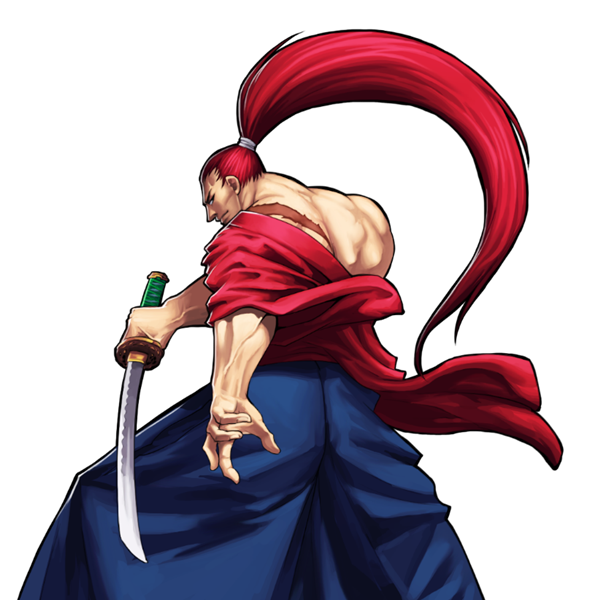 To sum it up, Genjuro is just a pissed off samurai looking to spill some blood. 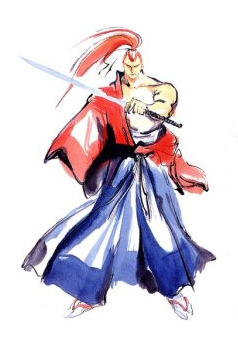 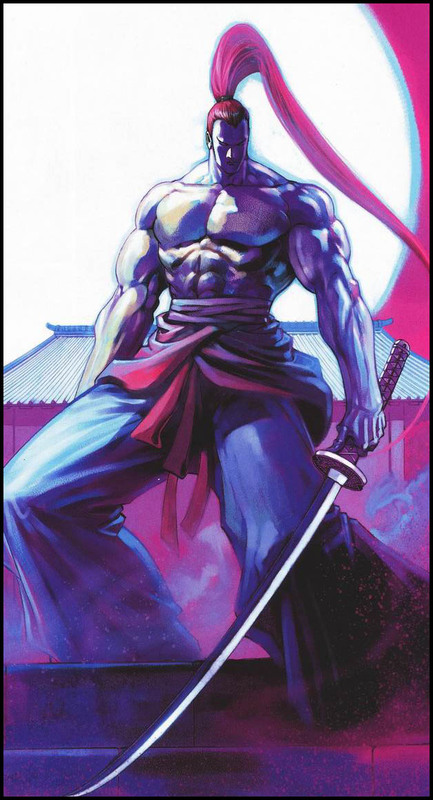 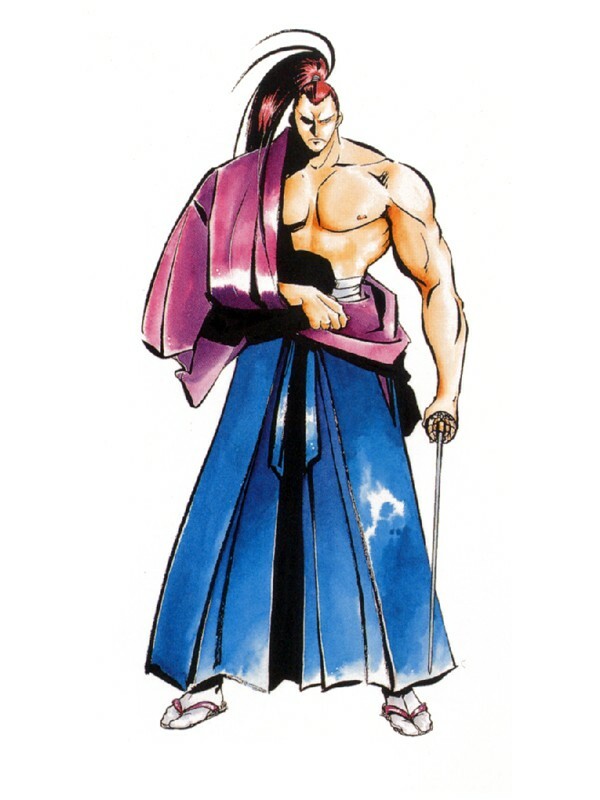 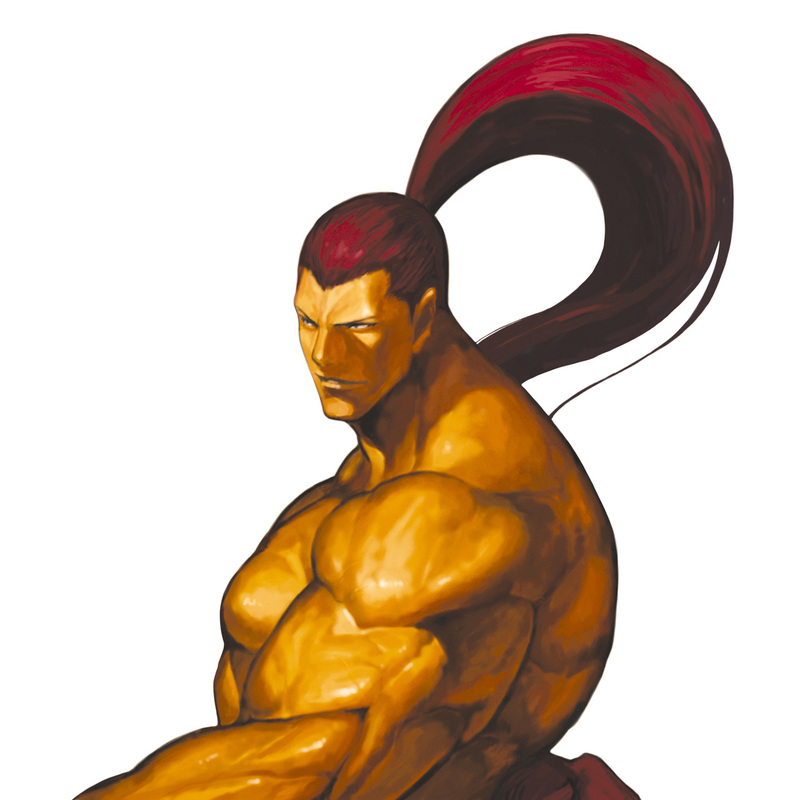 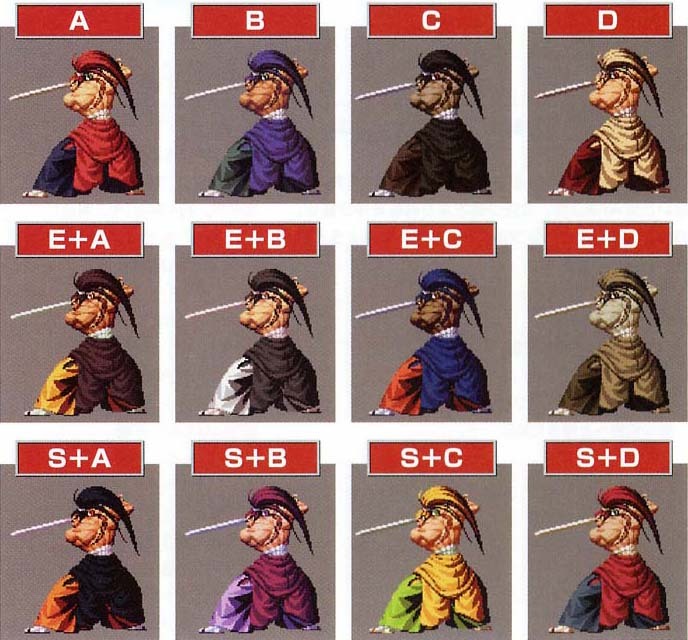 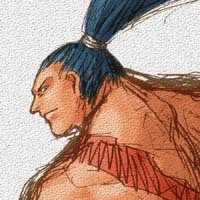 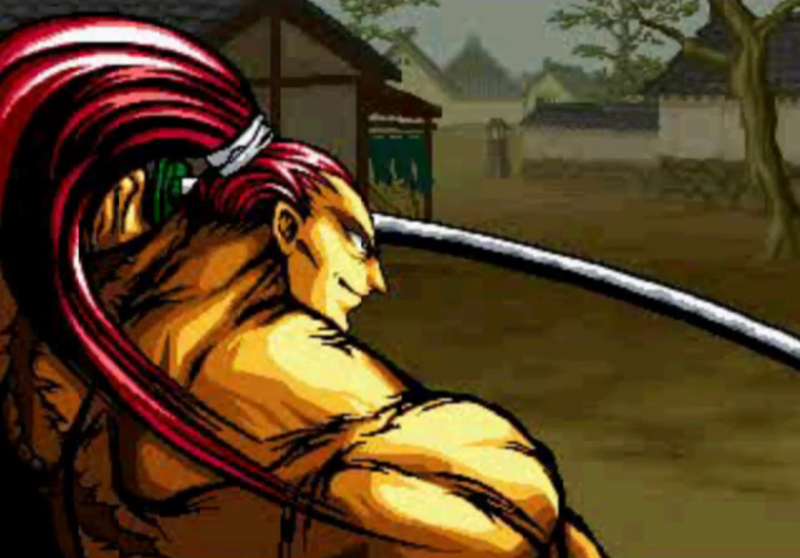 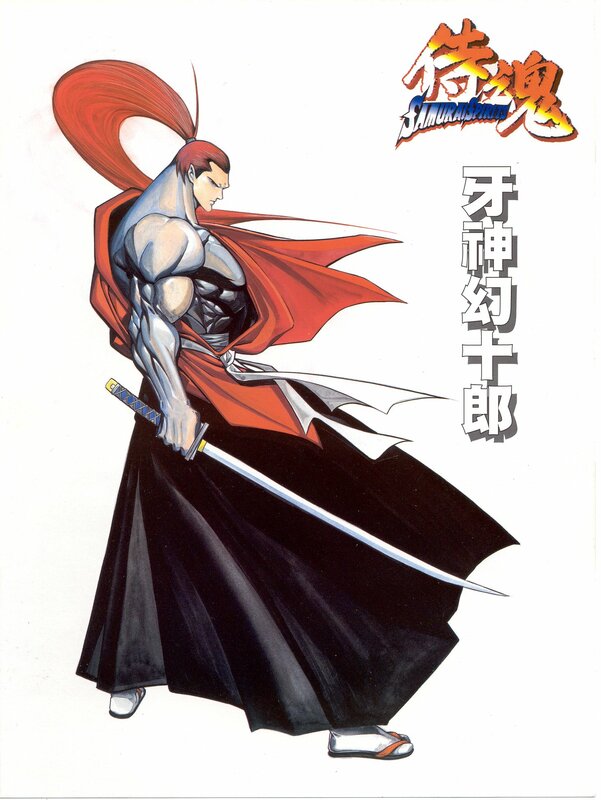 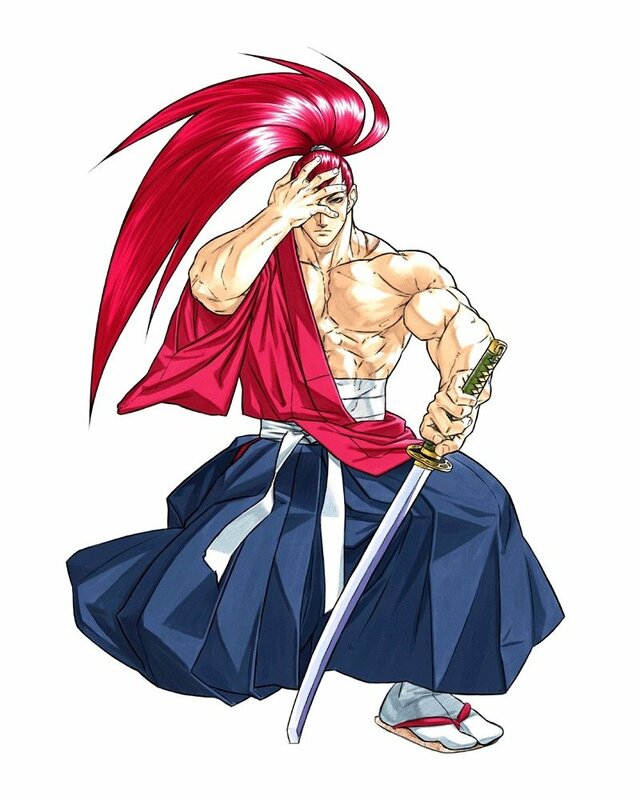 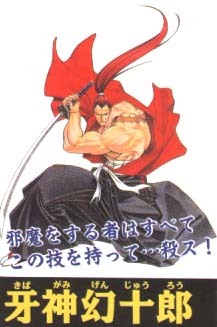 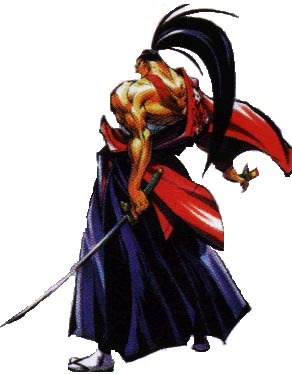 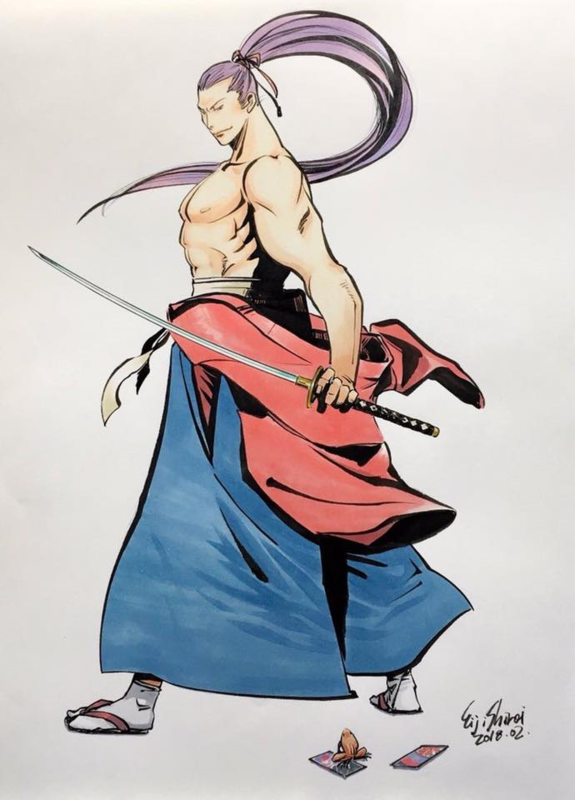 What more do you need in Samurai Shodown? 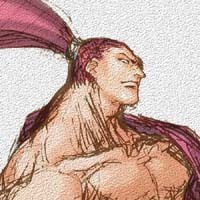 He offers a cool contrast to other characters in the game as well... he definitely stands out, and he makes it look effortless. 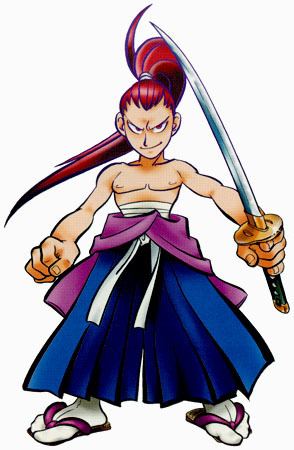 Thanks to his cool moveset, Genjuro is also a fun character to use in nearly every game he appeared in. 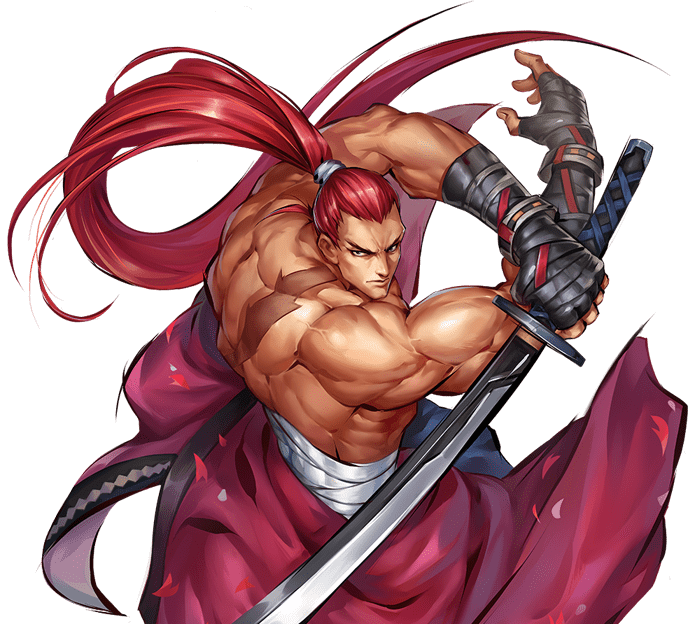 You simply can't lose when you pick Genjuro.